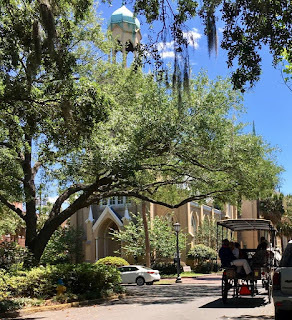 WORLD HERITAGE: Can you name the only residential structure in the United States listed as an official UNESCO World Heritage Site? Hint: It’s also the only presidential home in the U.S. on the list. 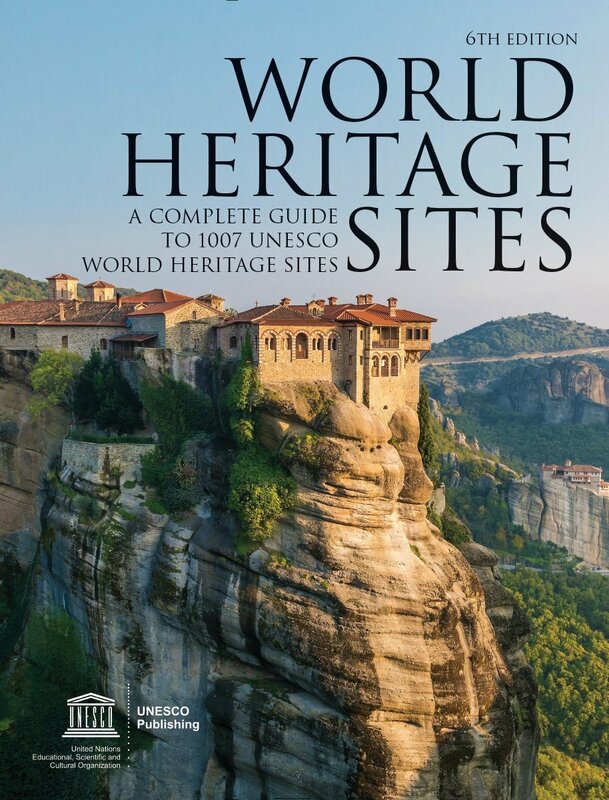 All World Heritage sites are deemed “of outstanding universal value.” They include—to name a few—the Statue of Liberty, Independence Hall, and Yellowstone, Everglades, Grand Canyon, and Mesa Verde National Parks in this country; Machu Picchu in Peru; Mount Kenya National Park; the Historic Center of Florence in Italy; the Taj Mahal; the Acropolis in Athens, Chartres Cathedral and Mont St. Michel in France; the Great Wall in China, and the Sydney Opera House; and Monticello. All are deemed by UNESCO as sites for the “international community” to protect. Why is UNESCO in the news now? You may have heard that on October 12 the White House announced that the United States will withdraw from UNESCO at the end of 2018. The reason: what the present presidential administration deems its “anti-Israel bias,” along with the fact that UNESCO is in need of “fundamental reform.” The nation of Israel also announced it was leaving UNESCO. Not surprisingly, the news of pending U.S. abandonment of UNESCO did not go over well at the Thomas Jefferson Foundation, which owns and operates Monticello. According to an article in the Charlottesville Daily Progress, the Foundation was “disappointed” with the announcement. 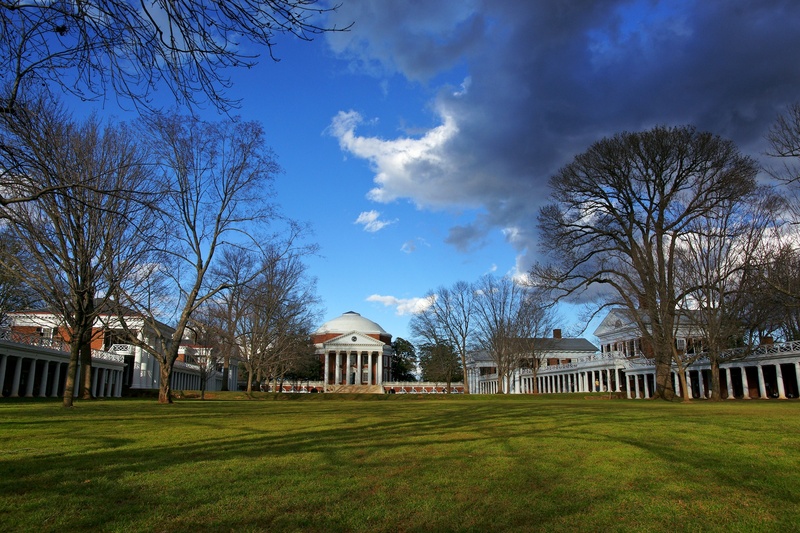 “This decision will have no impact on Monticello’s inscription on the World Heritage Site List, nor on our commitment to jointly host with UNESCO an international symposium on the interpretation of slavery, in Charlottesville, in 2018,” the foundation said in a statement. “UNESCO is a global steward of world culture that bridges, celebrates and protects the rich diversity of human creative genius,” the foundation also pointed out. Or go to marcleepson.com/signedbooks.html to order copies through my local bookstore, Second Chapter Books in Middleburg, Virginia. 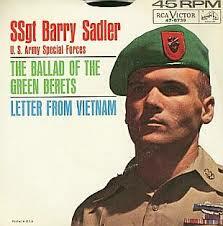 We also have copies of Desperate Engagement, Flag, Lafayette, and What So Proudly We Hailed, and Ballad of the Green Beret. CHARLOTTESVILLE: Back in the spring my wife Janna and I planned a trip to Charlottesville, one of my favorite places on earth, to see Lyle Lovett. He was playing (with his Large Band) on Wednesday evening, August 16, at the Pavilion on the downtown mall. We’d done it before and always had great times, eating dinner downtown beforehand, seeing the concert, spending the night, and then driving home to Northern Virginia in the morning. After we learned of the horrific events of Saturday, August 12, we didn’t know what to expect when we arrived. To our surprise (and delight) when we drove into town at around 3:00 on Wednesday afternoon things seemed calm and normal. Still, the concert was just two short blocks from where the unspeakable happened, and it was sobering to walk the downtown mall fourdays afterward. The good news is that the concert was great, with Lyle Lovett expressing his admiration for the people of Charlottesville and performing four gospel songs (with an added church choir from Richmond) all of which resonated poignantly with everyone in the crowd. I took the picture above of the Rotunda along the Lawn, the Thomas-Jefferson designed space on the grounds of the University of Virginia, at around 6:30 a.m. on Thursday during my morning walk. As I walked through downtown C’ville and the grounds, I couldn’t help but breathe deeply and appreciate the stillness and calm—and at the same time recall that just five days earlier men wearing Nazi regalia marched in my steps shouting venomous racial and anti-Semitic slurs. And that one of them killed a woman right there on the downtown mall. “On Saturday morning, I stood outside our synagogue with the armed security guard we hired after the police department refused to provide us with an officer during morning services. … Forty congregants were inside. Here’s what I witnessed during that time. THE WASHINGTON POST: The morning before we left for Charlottesville, I had an email from Rachel Siegel, a reporter at the Washington Post. She said she wanted to ask me some questions about the Levy family, Monticello, anti-Semitism, and Charlottesville. I told her I’d be happy to do an interview, and suggested she get her hands on Saving Monticello, which she did. As she was on deadline, I took the call in the car driving to C’ville. We spoke for a good half hour. She had gone through the book and asked good questions. LEVY OPERA HOUSE: The night of the concert on our way to dinner, we saw the Robert E. Lee statute (all was quiet there) and then walked a few blocks up to High Street with our Charlottesville friends Amoret and Mike Powers and over to take a look at the Levy Opera House 350 Park, near the corner of Park and High Streets. 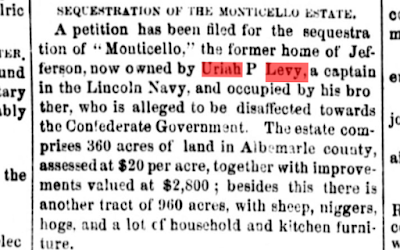 Jefferson Levy, an extremely active real estate and stock speculator, acquired the building in 1887, eight years after he had bought out the other Uriah Levy heirs and gained control of Monticello. 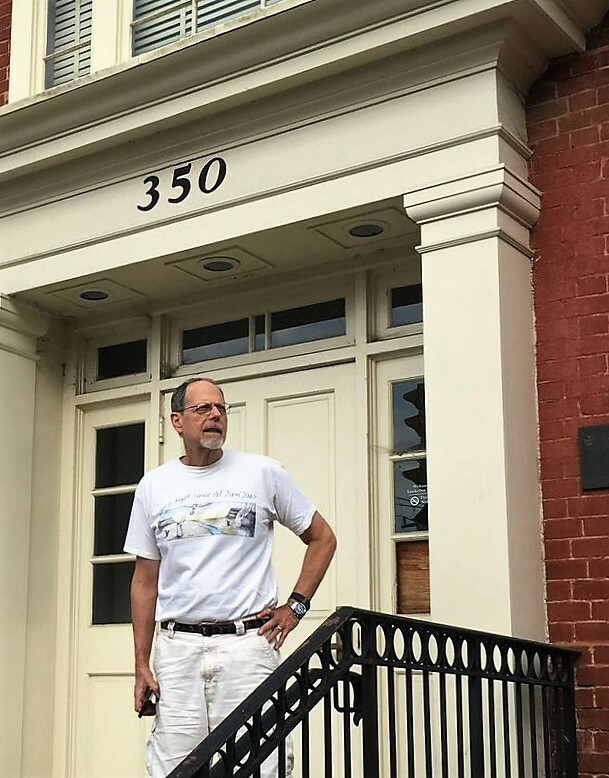 The Opera House—Charlottesville’s former City Hall—was his first significant purchase of property in the city. He would buy (and sell) more than a few other buildings in town in the coming decades. When Levy bought the large, three-story Georgian style brick structure built in 1852, it was still known as Town Hall. The building was used as a gathering place for local groups, traveling, and touring theatrical companies. By the mid-1880s, though, it had fallen into disuse. As I wrote in Saving Monticello, Jefferson Levy remodeled Town Hall and in 1888 renamed it the Levy Opera House. He enlarged the stage and put in a new orchestra pit with dressing rooms below, inclined the floor to improve sight lines, and installed a horseshoe-shaped gallery, new opera chairs and two boxes on the sides of the stage. The Levy Opera House hosted the first symphony orchestra that played in Charlottesville, the Boston Symphony, which came to town in 1891. 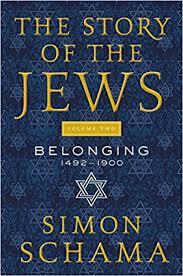 That year Jefferson Levy leased the Opera House to Jacob (“Jake”) Leterman and Ernest Oberdorfer, sons of the founders of Charlottesville’s German Reform synagogue. Leterman and Oberdorfer brought in other symphony orchestras, minstrel shows, and various types of theatrical productions. In 1907, Levy leased the building to the Jefferson School for Boys, a small boarding and day prep school, for $400 a year. An addendum to the lease stipulated that if any theatrical performances were given in the Opera House, it “shall be advertised as the Levy Opera House,” and that Jefferson Levy retained the right to his box there. The school moved out in 1912. Two years later Levy sold the building, and it was subdivided into apartments. It was subsequently remodeled into office space. · Thursday, September 14 – Washington Metropolitan Oasis Center, Bethesda, Maryland, 1:00 p.m. talk on Saving Monticello and book signing. For info, call 301-469-6800. SEQUESTRATION: On August 30, 1861, the Confederate Congress passed a bill called the Sequestration Act. It called for the confiscation of all property owned by northerners in the eleven Confederate states, and the sale of that property to southerners. In the law’s words, all “lands, tenements and hereditaments, goods and chattels, rights and credits… held, owned, possessed or enjoyed by or for any alien enemy since the twenty-first day of May, ” would be “sequestrated by the Confederate States of America” and be made available to “any true and loyal citizen or resident” of the Confederacy. 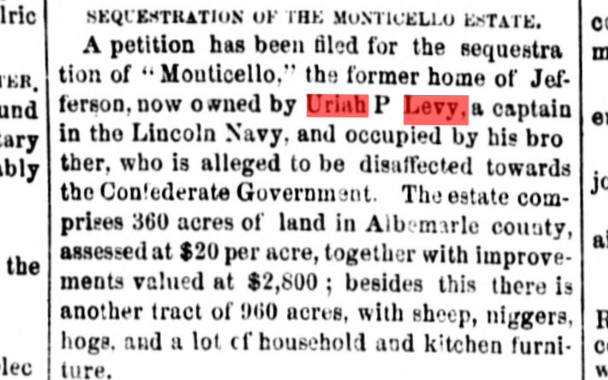 Monticello and all of its adjacent Virginia land certainly fit in that “alien” category as its owner Uriah Levy was a resident of New York City—and was serving in the U.S. Navy. As I wrote in Saving Monticello, proceedings began to sequestrate Monticello on October 10, 1861, “as the property of an alien enemy,” according to an article in the Richmond Examiner. Monticello “has been confiscated,” Frank Leslie's Illustrated Newspaper of New York City reported, “with all its lands, negroes, cattle, farming utensils, furniture, paintings, wines, etc., together with two other farms belonging to the same owner, and valued at from $70,000 to $80,000.” The National Republican (a pro-Lincoln paper) of Washington D.C., put is less delicately, as you can see in the "Sequestration of the Monticello Estate" clipping above. That was not true. Jonas Levy was, in fact, was cozying up to the Confederate government. He filed a petition asking for a “modification of the sequestration law” to allow him—a resident of the Confederacy, he said—to inherit Monticello. “I am a loyal citizen of this Confederacy,” Jonas Levy said, in claiming to be his brother’s only heir living in the South. The sequestration order finally was approved in the fall of 1864, and Monticello was sold by the Confederate government on November 17 to colorful Lieutenant Col. Benjamin Franklin Ficklin (below) of the the 50th Virginia Regiment for $80,500 in Confederate money. Ficklin, as I wrote in the book, led an amazingly varied and adventurous life. 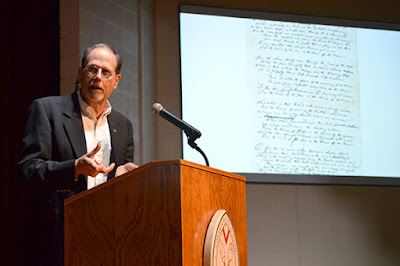 A noted prankster at the Virginia Military Institute, he fought in the Mexican War, taught at a boys’ school in Abingdon, Virginia, and in 1860 came up with the idea for a fast new overland operation that would deliver mail and news between St. Joseph, Missouri, and San Francisco. The company he worked for called it the Pony Express and gave Ficklin the job of organizing the huge operation. He set up 190 relay stations along the nearly 2,000-mile route, bought 500 horses, and signed on eighty riders. Shortly after the war ended, Ficklin was in Washington, D.C., where he was arrested—wrongly, it turned out—on April 16, 1865, for being involved in the assassination of President Lincoln. He died at age 44 in 1871 while dining at the Willard Hotel in Washington when a fishbone lodged in his throat and the doctor who tried to remove it severed an artery. 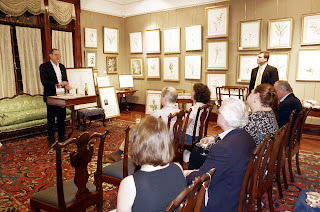 That was six years after Ficklin had had to give up Monticello after owning it for only a few months. 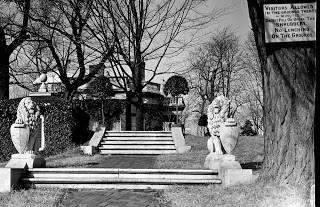 The estate then returned to the Levy family. Saturday, August 12 – I’ll be signing books at Vietnam Veterans of America’s National Convention at 11:00 a.m. at the Sheraton in downtown New Orleans. FOURTH OF JULY 1826: With Independence Day on the horizon, here’s what I wrote in Saving Monticello on that remarkable day in American history: July 4, 1826, the nation’s fiftieth birthday. The first paragraphs are the first words in the book. 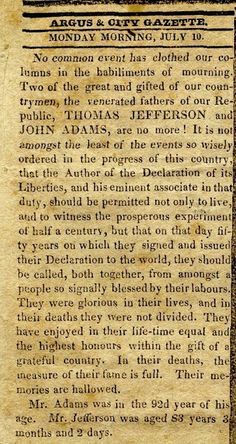 On July 4, 1826, as people across the United States joyously celebrated the young nation’s Independence Day Jubilee, several matters of great importance took place. 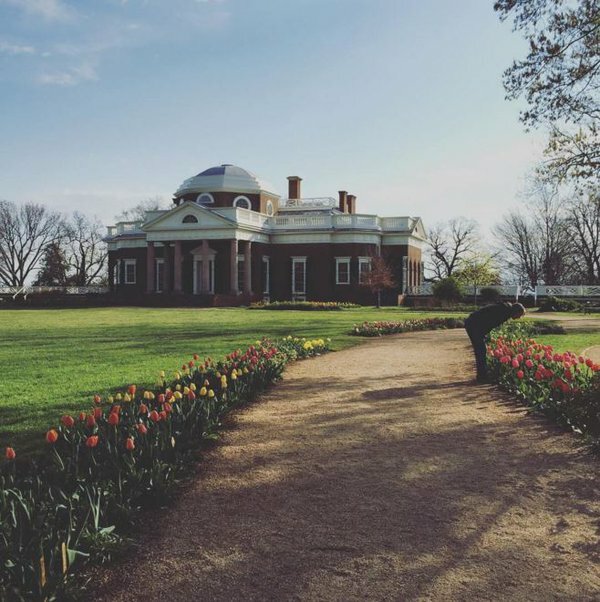 At ten minutes to one in the afternoon in his bed at Monticello, his beloved home in Central Virginia’s Blue Ridge Mountains, Thomas Jefferson died. The nation’s third president was 83 years old and had been in ill health for most the previous twelve months. On June 24, 1826, Jefferson had called for his physician, the British-born Dr. Robley Dunglison of Charlottesville, who came up to Monticello and stayed there, attending the dying Jefferson's during the last week of life. Jefferson’s daughter Martha Randolph sat at her father’s bedside during the day. Her son Thomas Jefferson Randolph (known to the family as “Jeff”), 33, and Nicholas Trist, her son-in-law, took over at night, aided by several household slaves, including Burwell Culbert, Joe Fossett and John Hemings. Jefferson seemed to calm down emotionally as death drew near. He lost consciousness on the night of July 2. He awoke briefly on the morning of Monday, July 3. At least once that day he asked if the Fourth of July had come. Dr. Dunglison told him the day would soon be upon them. Nicholas Trist nodded his head in assent. He and his brother-in-law Jeff Randolph sweated out the last hours of July 3, staring at Jefferson’s bedside clock as midnight approached, silently hoping he would keep breathing until the Fourth of July. He did. Jefferson awoke around 4:00 in the morning on July 4 and called to his slaves—whom Jefferson referred to as “servants”—in what those around him said was a clear voice. He then lapsed into unconsciousness for the last time. Thomas Jefferson died in his sleep in his bed, at 12:50 in the afternoon on July 4, 1826, the 50th anniversary of the founding of the nation. The holiday has, indeed, been commemorated at Monticello in various ways over the centuries. Every year since 1963, Monticello has marked the Fourth with an Independence Day Celebration and Naturalization Ceremony. During that time, more than 3,000 people from around the world have raised their right hands in front of Thomas Jefferson’s “Essay in Architecture” to take the oath and become brand new American citizens. Each year, a prominent American has addressed the new citizens at the ceremonies. This year the featured speaker will be David N. Saperstein, the distinguished Reform rabbi and lawyer who served as U.S. Ambassador-at-Large for International Religious Freedom from 2014-17. A former long-time chief legal counsel at the Union for Reform Judaism’s Religious Action Center, Rabbi Saperstein is an adjunct professor at Georgetown University Law School and is co-chair of the Coalition to reserve Religious Liberty. 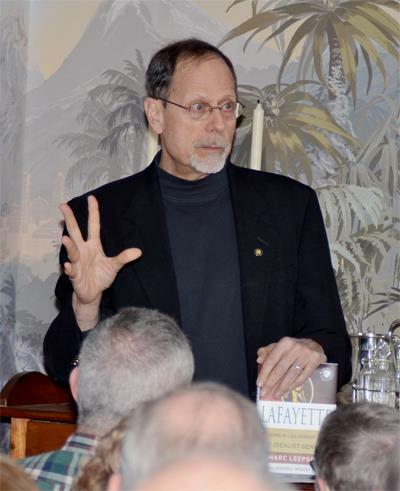 Tuesday, July 2 – 8:00 a.m. talk on Ballad of the Green Beret for the Leesburg Daybreak Rotary Club in Leesburg, Virginia. 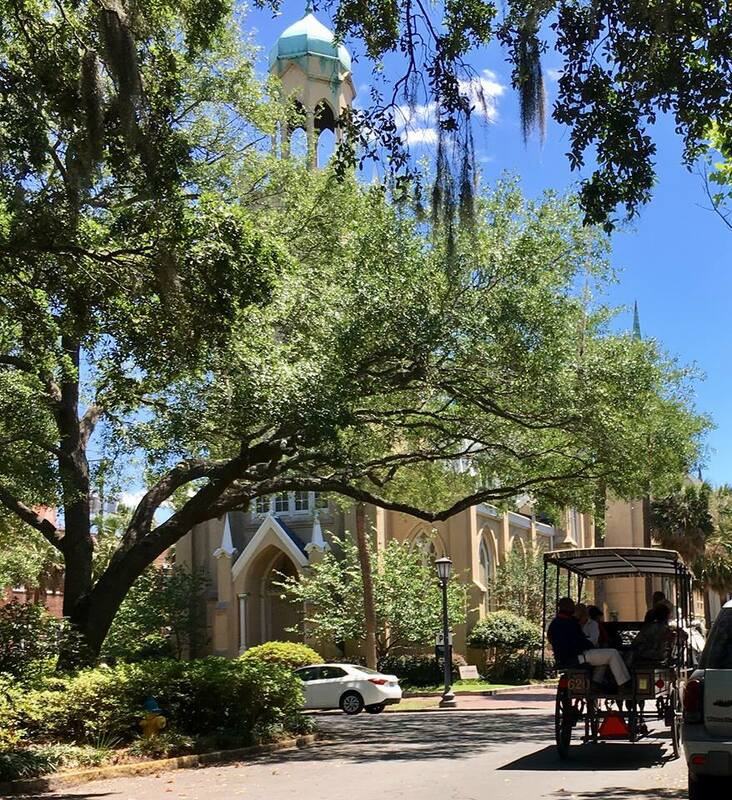 SAVANNAH: Early Friday afternoon, May 5, was a perfect spring day in Savannah, Georgia, with blue skies, a pleasant breeze, and temperatures in the low seventies. 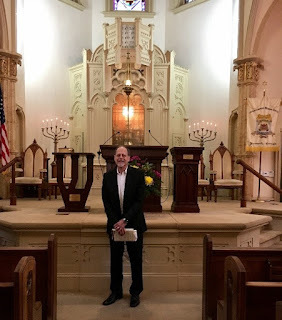 Making things even more perfect was the fact that I walked into historic Mickve Israel synagogue that afternoon (with my wife Janna and old friends Moses and Sarah Lyn Robbins) to be greeted by two active members of the Congregation—Margie Levy and Kerry Rosen. 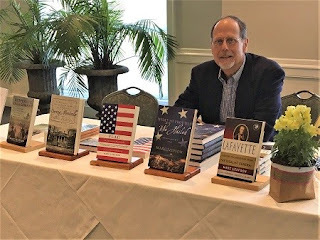 They had invited me to be that weekend’s Scholar in Residence at Mickve Israel, and give talks on my books Flag: An American Biography and Saving Monticello. And it was my absolute pleasure to do so. Margie and Kerry sat us down in the spectacular sanctuary and gave us a personalized guided tour of the building. 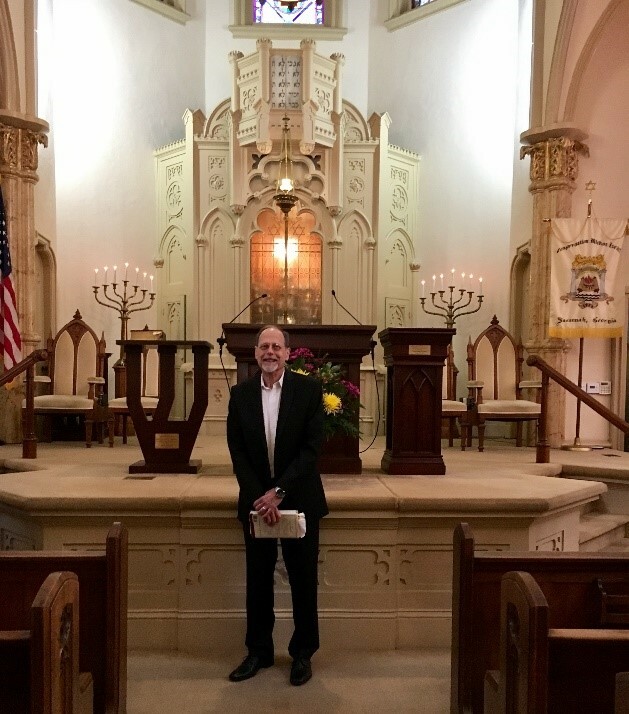 They covered the Congregation’s long history—including the fact that it’s the third-oldest Jewish congregation in the nation, having been founded by 42 Jews who had escaped the Spanish Inquisition (in Lisbon) and come to Savannah in 1733. 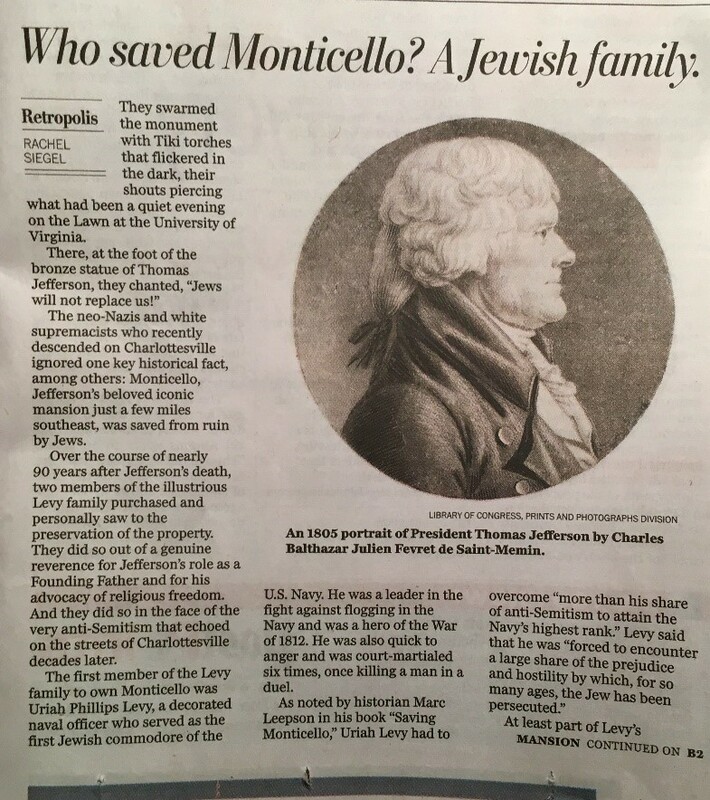 Among that group, as I wrote in Saving Monticello, was Dr. Samuel Nunez, Uriah Levy’s great great grandfather. Executive Director Jennifer Rich and Rabbi Robert Haas came by to welcome us, then Margie and Kerry took us upstairs to the terrific museum, which includes the two oldest Torah scrolls in North America, a collection of letters from thirteen presidents including George Washington, Thomas Jefferson, and James Madison, plus a short history of Uriah Levy and Monticello. We attended Friday night services and I did the talk on the American flag after dinner in the temple’s hall with Jennifer’s valuable A/V assistance. The next day we were back for Saturday morning services, welcomed heartily by the Congregation’s President Bubba Rosenthal, who had introduced me before my flag talk Friday evening. Rabbi Haas invited me to say a few words near the end of the service. He also reminded everyone that I would be talking about Monticello, and said (with a smile) that few people knew that Thomas Jefferson was Jewish—and had had a bar mitzvah. I thanked everyone for inviting me and said how special it felt to physically be in the place I had read so much—and written so much—about. It’s the same feeling I had when I did a talk in March 2002 on Saving Monticello in New York City at Shearith Israel, the oldest Jewish congregation in the nation, and the place where members of the Levy family worshiped. That included Uriah Levy and his nephew L. Napoleon Levy, who was the president of the congregation in the 1890s, and his brother Jefferson Monroe Levy, who plays such a big role in Saving Monticello. I posed for the picture below after services, then we had lunch in the hall, and I did the talk. I was pleased to meet my Facebook friend, Connie Eunice Nunes, who runs a Nunez family Facebook group, and who drove up from Jacksonsville for the occasion. I also met many members of the Congregation. It was a memorable weekend and I thank everyone for inviting me and for being terrifically welcoming. 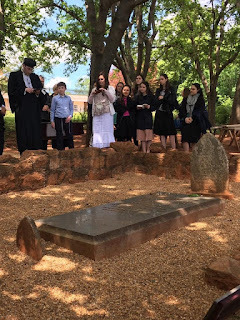 AT MONTICELLO: The day after I spoke in Savannah, Sunday, May 7, Rabbi Meir Soloveichik led a service (the Kaddish) with members of his Shearith Israel congregation and Yeshiva University students at the grave of Rachel Levy, Uriah Phillips Levy’s mother who is buried along Mulberry Row a Monticello. The rabbi also included a memorial service for the Phillips family and for all Jewish American patriots.The Kaddish marked the first such Jewish ceremony at Rachel Levy’s grave in nearly two hundred years.Later that day the rabbi took part in a Conversation on Religious Freedom with the noted historian and biographer Jon Meacham at Monticello. 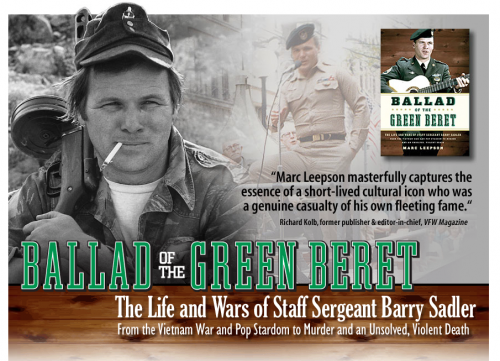 Friday, June 2 – 8:00 a.m. talk on Ballad of the Green Beret for the Dulles Airport Rotary Club in Herndon, Virginia.